‘Tis the season! It’s likely you’ve been busy lately shopping for gifts, wrapping said gifts, soaking in the Christmas music and movies, and attending holiday parties. If there’s a Christmas event on your horizon and you’re looking for just the thing to contribute, you’ve come to the right place! 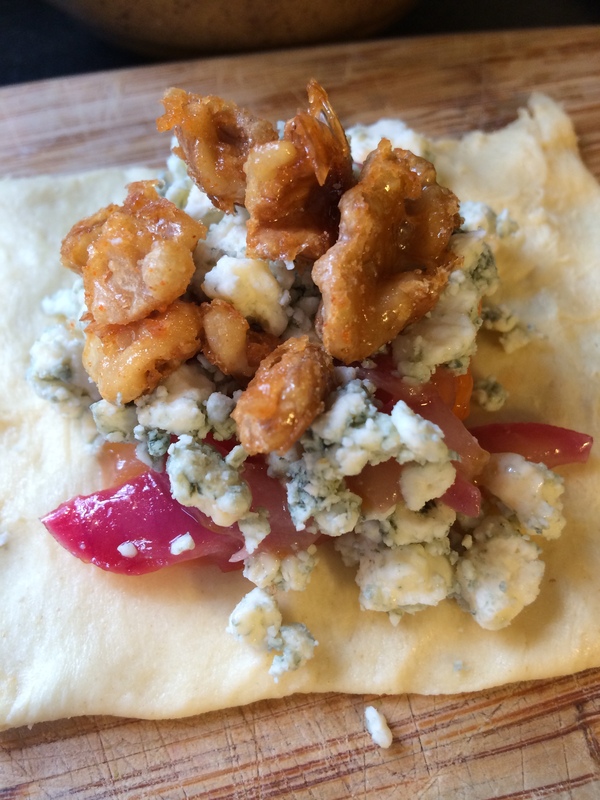 I hosted an event with some friends last Saturday and gave a new appetizer recipe a try, courtesy of the friendly folks at Pillsbury. The result? Delicious! I’ll be making these again, and recommend you try them out, too. Heat oven to 350 degrees and line cookie sheet with parchment paper. Set aside. Pierce potatoes with a fork and place them on a paper towel in the center of the microwave. Microwave 5 to 6 minutes until tender. Remove from microwave and let potatoes cool before peeling. 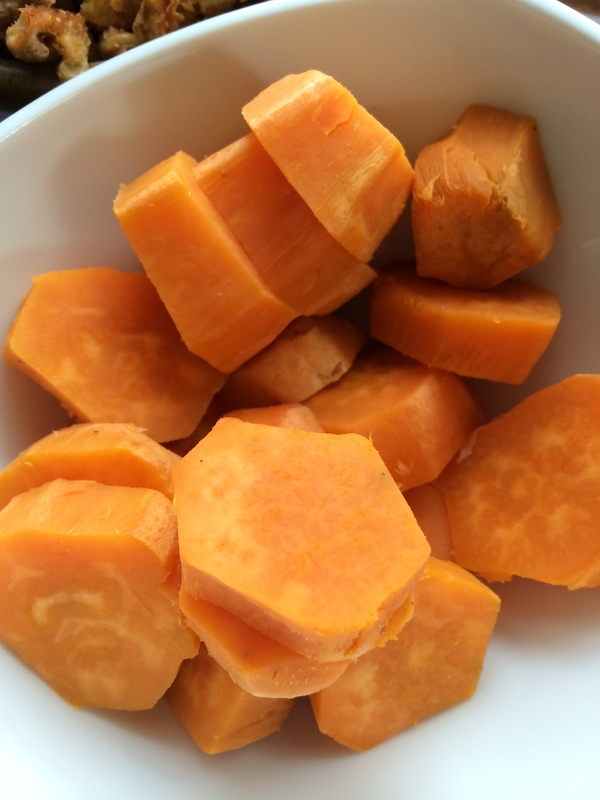 Once peeled, cut potato into 1/2 chunks and set aside. While potatoes are microwaving and cooling, heat sugar, water and cayenne pepper to boiling over medium heat in a one-quart saucepan, stirring occasionally. Boil and stir 2 minutes. 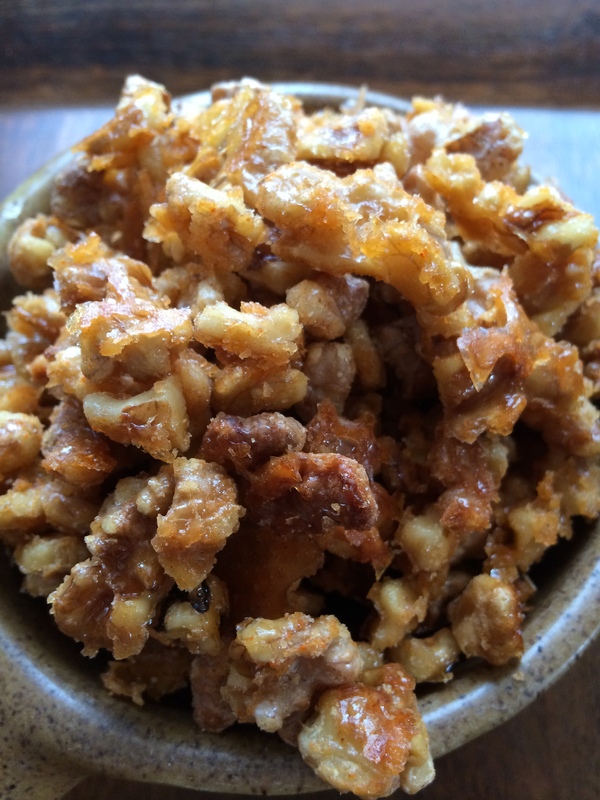 Remove from heat, and gently stir in walnuts until coated. Spread nuts on prepared cookie sheet and bake 8 to 12 minutes or until golden brown. Remove from cookie sheet and set aside to cool completely. In 10-inch skillet, heat oil, onion and apricot preserves over medium heat 5 to 8 minutes, stirring occasionally, until onion is tender. Remove from heat. Unroll two cans of crescent dough and separate into 8 rectangles. Firmly press perforations to seal. Cut each rectangle in half crosswise, and press each piece into a four-inch square. On each dough square, place 1 potato slice, 1 rounded teaspoon onion mixture, 2 teaspoons cheese and 1 Tablespoon pecans. 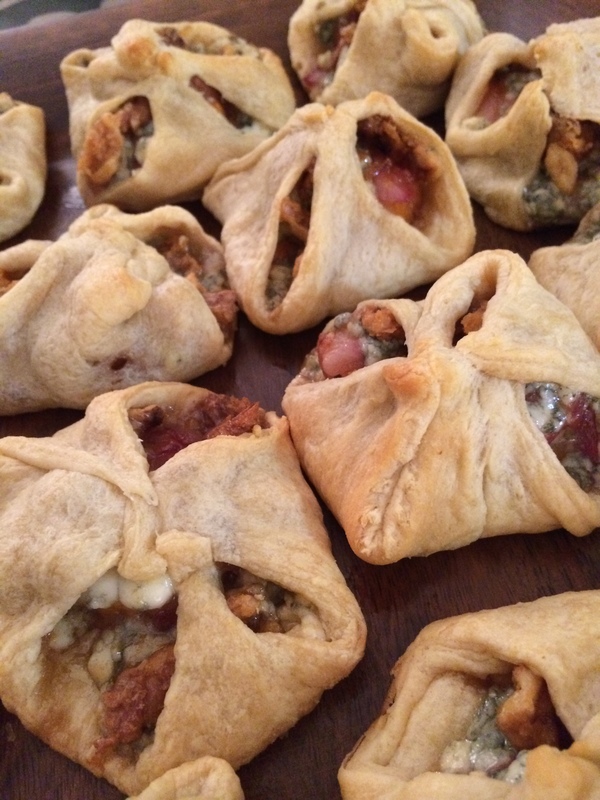 Bring the four corners of dough over the filling to center and twist at top. Place on ungreased cookie sheet. Bake 12 to 18 minutes, or until golden brown. Remove from cookie sheet to cooling rack and cool for 5 minutes, then serve warm. Previous Previous post: 2014 Mini Desk Calendar Winner!